Last week wasn’t too bad for Audi. 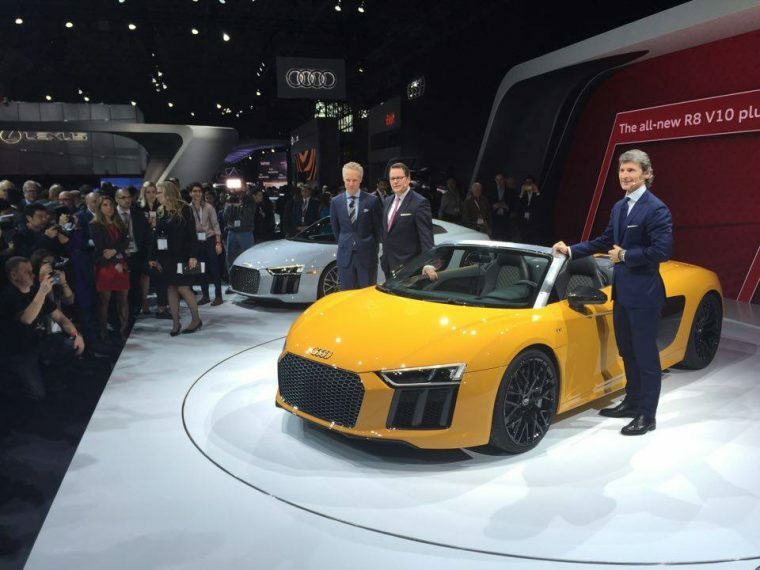 In case you missed it, the New York International Auto Show opened to the press, and Audi was ready with a new car to show to the world. The World Car Awards were also presented this week at the show, and Audi walked away with some serious new hardware for its trophy chase. 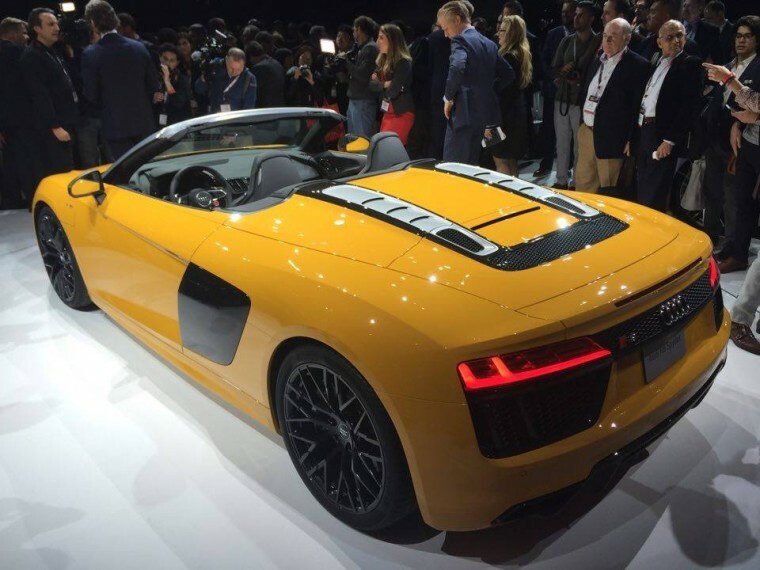 The 2017 Audi R8 Spyder V10 rolled into the NYIAS spotlight on Wednesday, following in the tire tracks of the original Spyder model of the R8 that was introduced in 2010. With a V10 engine that achieves 540 hp and 398.3 lb-ft of torque, the car isn’t messing around when it comes to power. Its lightweight frame, made with a combination of aluminum and carbon fiber parts, means that the engine’s power can focus on performance, rather than moving a large cabin around. As if all that power wasn’t enough for a fun ride, the Audi R8 Spyder V10 is convertible to make any drive on a warm day more enjoyable. No official release date has been given yet for this exciting car, so stay tuned. Besides revealing the Audi R8 Spyder V10, the Audi R8 Coupe was named the 2016 World Performance Car at the World Car Awards. The awards are decided by a jury of 73 automotive journalists from all over the world. Over its two generations, the Audi R8 has won four awards from the World Car Awards, including World Car Design of the Year, making it the most awarded vehicle in the program’s history.